Should you rent a car or campervan or something else? 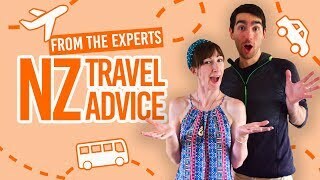 It is easy to get overwhelmed by the choice of vehicles when looking into renting a vehicle for your road trip in New Zealand. 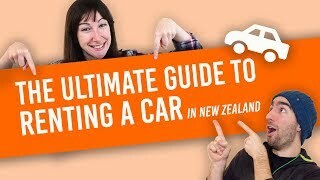 We’ve already established 10 Things We Love About Renting a Car in New Zealand, but what is the best type of vehicle to rent in New Zealand? Well, this really depends on your wants, needs and personality. Whether you’re travelling solo, as a couple, or a group of friends, numbers play a big part in what type of vehicle to rent in New Zealand. You might also want to consider the accommodation you would prefer to stay in, as well as weigh up the costs of renting a vehicle. We’ll go through five different types of vehicle to rent in New Zealand to cover all bases and budgets. 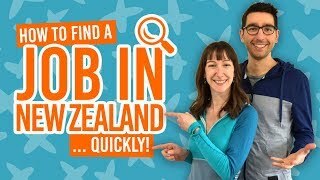 For more advice on what type of vehicle to rent in New Zealand, check out Should You Rent a Campervan or Car in New Zealand? Fuel efficient and reliable, the small car is the most economical choice. A car with 2WD is the same car that you are probably used to back home. Car rental companies use a wide range of models to satisfy every need, from the classic Nissan Maxima to the all-time favourite Toyota Corolla without forgetting the Gertz, Swift and other small models. Other options include “people movers” which are cars that can accommodate up to six people comfortably like the Toyota Estima. Budget: Cars can go as low as NZ$9 per day in the low season to over NZ$100 per day for higher end models. You will also find 4WD under the denomination SUV or 4×4. It is absolutely not necessary to get a 4WD to enjoy every nook and cranny of New Zealand. We do not recommend renting a 4WD for a road trip in New Zealand as we fail to see the value for money on this type of vehicle. 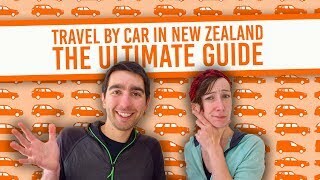 Almost every spot in New Zealand can be accessed with a normal car and it would not be wise to go off-road with a rental 4WD as most insurance and roadside assistance would then be void. The type of models available ranges from the Nissan Pathfinder, Toyota RAV4 or the Hyundai Tucson. Budget: 4WD usually starts around the NZ$29 per day in the low season and end up over NZ$150 per day for higher end models. The ultimate backpacker vehicle is the campercar – a large family car refitted into a tiny yet liveable campervan. It is the best and most economical way to carry all you need for your road trip and set up camp almost wherever you want during the road trip of your life. The most popular model for this type of vehicle is the Toyota Estima that has been stripped down to only its two front seats and entirely refitted with bed, small kitchen, power plugs, portable toilet and more. Perfect for: The ultimate New Zealand road trip on a budget for one or two people. Budget: In the low season, you would be able to find a campercar starting around the NZ$19 per day mark. However, in mid-summer it is common to find them upward to NZ$120 per day. Now we are getting to the wild cards, this type of vehicle usually comes self-contained and would be able to sustain you and your friends in the wild for a few days. There is a wide range of campervans for rental in New Zealand. Some are refitted vans like the popular Toyota Hiace that often comes with a top cabin to fit an extra double bed to older models that only have a double bed with a tent extension for the extra passengers. Budget: Campervans come in all shape, sizes and prices from a low NZ$49 per days in winter for a small one to over NZ$450 per days for a 6 berth one in the height of summer. 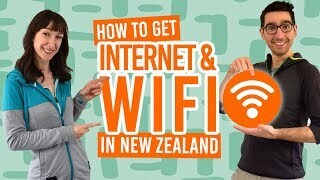 Perfect for: Taking on a wilderness New Zealand road trip with 2-4 people. 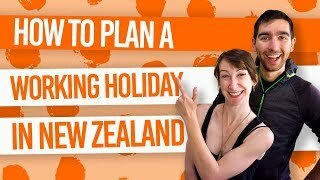 Your biggest option when planning a road trip in New Zealand is to go for a full motorhome or RV. As per its name, those are real massive campervans that often feature a kitchen, shower, toilet and multiple double beds. Every rental company buys or builds their own models and rent them for a few years before selling them. You will rarely find motorhomes to rent that are over 10 years old. They are a great option to consider when travelling with a group of close friends that are splitting the bill. Budget: Motorhome prices usually depend on the age of the vehicle from a low NZ$149 per days in winter for a small one to over NZ$450 per days for a brand new 6-berth one in the height of summer. Perfect for: Travelling and living comfortable on the road with 3-6 people.